MASKerade: Muse 189 - Happy Birthday! Muse 189 - Happy Birthday! Now. I feel like I need to explain myself a bit. There really is a link between these two cards. I need to make a card for my niece, who (obviously) is turning 16. I wanted it to be cool and minimal, and yet still inspired by Lucille's card. Love your minimal cards Ardyth!!! 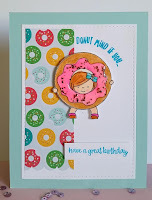 CUTE card for your niece Ardyth!! From pokey dotty to polka DOTS! 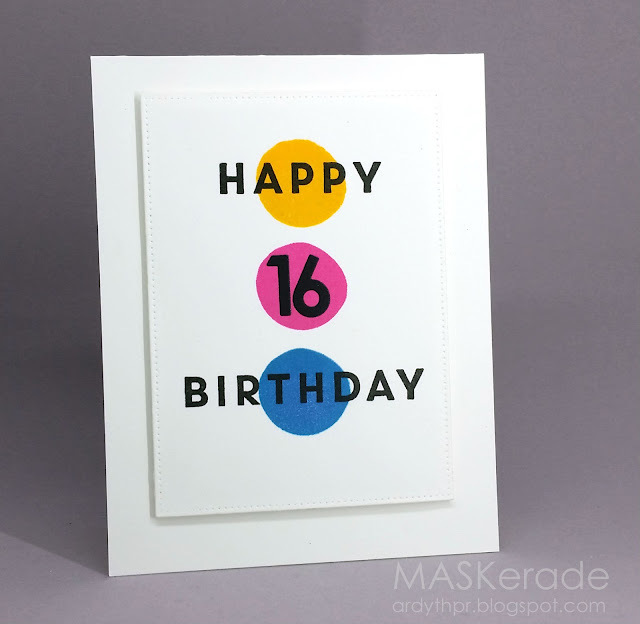 Fun card for a 16 year old! LOVE your sweet card, so clever and so you! Very nice! I have a grand niece turning 16 next month. Yep...another card that makes my CAS lovin' heart beat faster!!! Yep...another awesome card that makes my clean & simple lovin' heart beat faster. Great colors!